Souvenir Pages have been issued by the US Postal Service since the Family Planning issue of March 18, 1972. 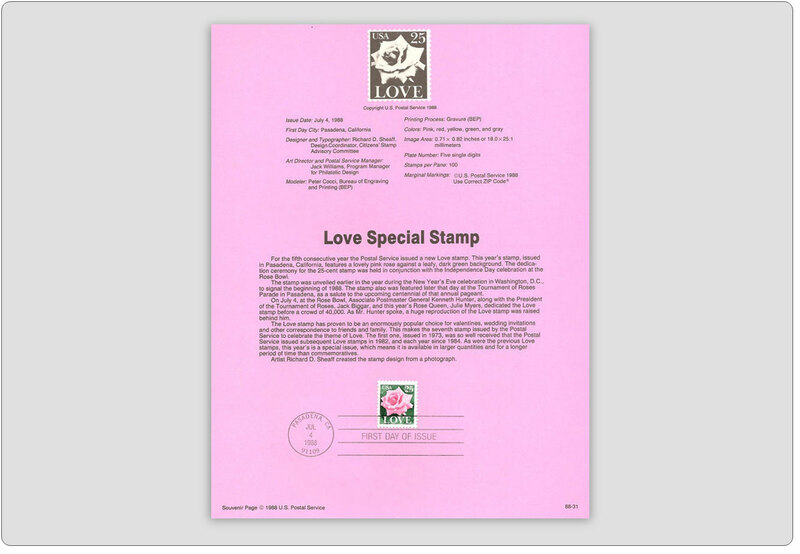 These are 8 x 10-1/2 inch pages printed on tinted bond paper, often with watermarks. 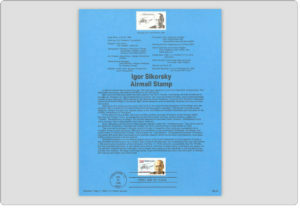 They include an image of the stamp, data about the issue including designer, first day date, first day city, number of stamps printed and background information on the stamp’s subject. 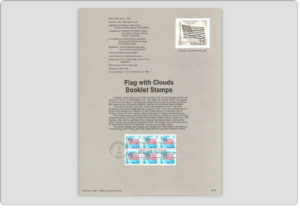 And for the first time, the USPS affixed the stamps and added the first day cancellation. Since 1988, page numbers are printed in the lower right corner. Generally, page numbers are four-digit numbers beginning with the two-digit year followed by a two-digit sequence-of-issue number, e.g 9601, 9602, etc. 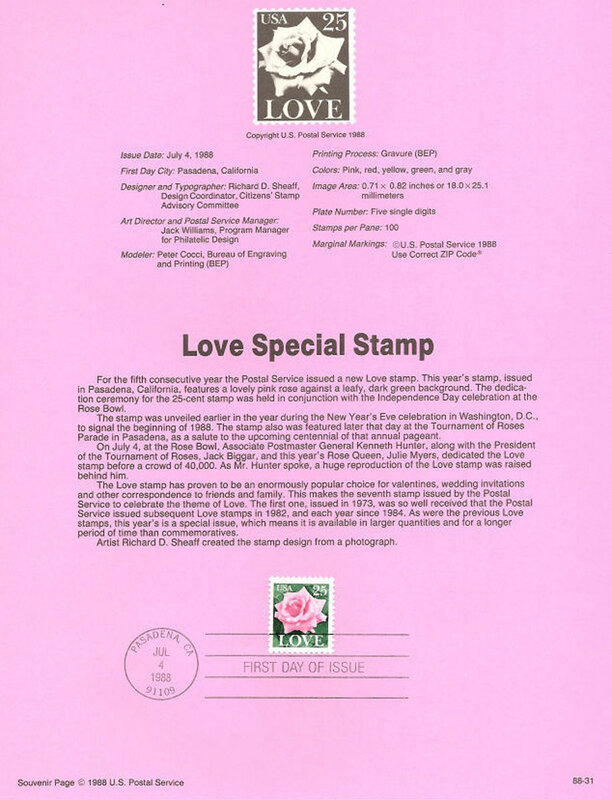 Pages issued prior to 1988 were not printed with a number, but have since been assigned numbers in The Postal Service Guide to US Stamps by the ASPPP (and accepted by the USPS) going back to 1972, the start of the subscription program. Since the family Planning official page was only available at two locations in New York City and was not mailed to subscribers, it is given the designation 72-00. 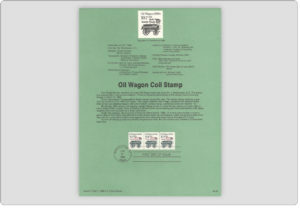 The USPS has mailed Official Souvenir Pages to subscribers since the Yellowstone Park issue of 1972, which was given the designation of 72-01. 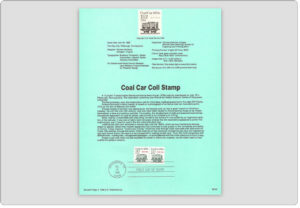 Pages have been issued (with only a few exceptions in 2000) for every US stamp. The Panel is in fine-very fine condition. An important addition to your collection.